Early this morning Apple unveiled updates to the company’s entire MacBook Pro lineup, which is said to bring faster processors, improved performances and bigger hard drives without increasing the price. The unannounced updates have been expected since around the middle of September with faster MacBook models available in time for the 2011 Christmas season. The 13″ MacBook Pro comes in two different configurations, the first being an entry-level configuration with a retail price of $1,199 comes with an Intel Core i5 processor. The second model is slightly faster and comes with an Intel Core i7 processor for $1,499. Both models have received slight increases in speed as well as bigger hard drives. 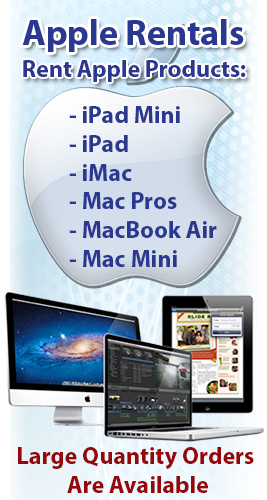 The 13″ entry-level model comes with an all new 2.4GHz processor and increases its storage space from 320GB to 500GB. The faster model gets a newer version of the Core i7 at 2.8GHz and also receives a larger 750GB hard drive, a bump up from the original 500GB. The 15″ MacBook Pro also comes in two iterations, the cheaper being $1,799 and the more expensive one costing $2,199. Both of these models take advantage of the quad-core Intel Core i7 processor and both have received an increase in processor speed with the slower of the two increasing from 2.0GHz to 2.2GHz and the faster increasing from 2.2GHz to 2.4GHz. In addition to that, the graphics processing hardware has also been upgraded with new discrete graphics cards from AMD. The $1,799 model gets an upgrade to the AMD Radeon HD 6750M with 512MB of dedicated memory and the $2,199 model upgrades to the AMD Radeon HD 6750M with 1GB of dedicated memory. Finally, the 17″ MacBook Pro is also getting upgraded in terms of processing and graphics. This model, which will run you $2,499, comes with a new quad-core Intel Core i7 processor and the new AMD Radeon HD 6770M with 1GB of dedicated memory. In addition to that, the 17″ MacBook Pro, as well as the 13″ and 15″ models, can be purchased with an additional 512GB of solid-state drive storage. All of these new models are listed on Apple’s site as being in stock with free shipping, though the new models may not yet be available. While these five models have received an incremental upgrade, the improved performance and hardware, along with the price remaining the same, is definitely something that will please customers and something that will keep Apple in better competition with new Windows devices soon to receive Intel’s new Ivy Bridge processors in the early part of next year. According to a new report from Apple, the company’s new MacBook pro Series could be the next Apple product in line for a hardware upgrade. AppleInsider, who cites multiple anonymous sources that, according to the site, have “proven insight into Apple’s future product plans”, states that Apple plans on introducing new models of the MacBook Pro with faster Intel processors. These new models are said to be shipping in time for this year’s holiday shopping season though the source has stated that we may see these new MacBook Pros as early as this month. Regardless of when we get them, a lot of questions are being raised about these new models, especially in terms of how much of an improvement we are getting. AppleInsider has stated that Intel’s latest series of quad-core Core i7 chips will be added to the new MacBook Pros. These chips come in at 2.4GHz, 2.5GHz or 2.7GHz and are sure to mesh well with Apple’s popular notebook. These processors are also an improvement over the current 2.0GHz, 2.2GHz and 2.3GHz in the current 15″ and 17″ models. The last update Apple performed on its MacBook Pro line occurred back in February which brought Intel’s Sandy Bridge CPUs to the entire fleet of MacBook Pro computers. In addition to that, the update also added Thunderbolt, the impressively fast new port that came from a technical collaboration between Apple and Intel. Aside from that, other changes to the MacBook Pro line consisted of the move to Intel’s integrated graphics and GPUs from AMD as well as a jump to FaceTime HD cameras. However, despite the somewhat recent update, interest in a complete MacBook Pro overhaul remains. Apple’s MacBook Air saw a nice new overhaul last October which brought the laptop the title of Apple’s “Next Generation of MacBooks”. Multiple reports that surfaced back in July suggest that Apple is working on potentially expanding the MacBook line to include a bigger 15″ model. However, it is still unclear as to whether or not that means a 15″ MacBook Air or a new design on the MacBook Pro line. 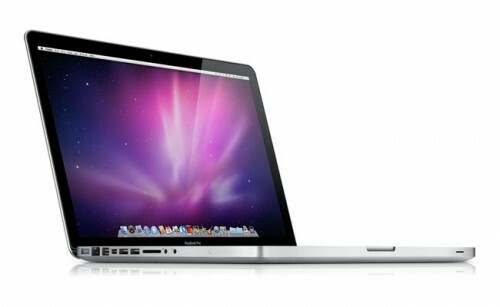 Source: CNET – MacBook Pros to get a pre-holiday speed bump?